Cherry Steinwender is Executive Director and co-founder of the Center for the Healing of Racism. Mrs. Steinwender co-authored Dialogue:Racism, a seminar that examines the history and sociological phenomenon of racism in the United States. She is the author of Bread is A Simple Food, Teaching Children about Cultures. Mrs. Steinwender has conducted workshops for delegations from South and Central America, Africa, South Asia and Europe who were guests of the U.S. State Department and interested in learning about American racism. She has worked with counselors, social workers, various municipal agencies, faith-based groups, corporate America, (which includes Shell Oil Company), as well as students from elementary through college and university levels. Under her leadership, the Center was profiled in the publication, One America for the 21st Century, a study of race in America commissioned by President Bill Clinton. She has also conducted intensive weekend workshops in cities across the United States. 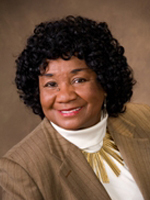 Mrs. Steinwender served on the Houston Community College Racial Awareness Program (RAP), a task force established to engender a greater understanding of the problem of racism within the campus community, the Advisory Board of the Center for Principle Leadership, and the Advisory Board of North America College and Advisory Council of the Office of Reconciliation Ministries. Mrs. Steinwender is highly involved in working with students in the University of Houston Internship program and Houston Community College Student Service Learning Program. She is on the North America University Advisory Board. Among her most cherished awards, Mrs. Steinwender received the 2013 Gandhi, King, Ikeda: A Legacy of Building Peace Award, which is given to a person who works to further the ideal of world peace, and the 2013 Diversity Champion Award. Mrs. Steinwender has been a guest on several television and radio talk shows locally, nationally and internationally, and has been interviewed for feature articles in area newspapers and magazines.